More than 30 years ago I perfected a technique for sharpening tools with an electric buffing wheel that’s faster and better than anything else I’ve seen since. Even though I have half a dozen great sharpening stones in my shop, I never use them. They take too long. Sharpening with a buffing wheel was the first topic I wrote about back in 1988, and it remains popular for one reason: Most people have big trouble sharpening tools. But it doesn’t have to be this way. 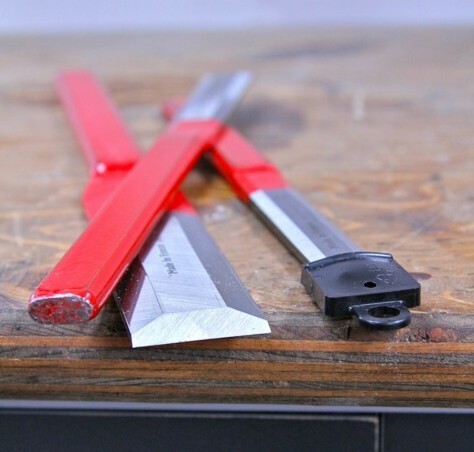 Using simple equipment and my unconventional methods, it takes as little as one minute to hone a super-sharp edge on woodworking tools and knives. In fact, the edge is so sharp that it cuts better than a new razor blade. The heart of my sharpening process uses something called a buffing wheel to replace the use of sharpening stones for honing tools. 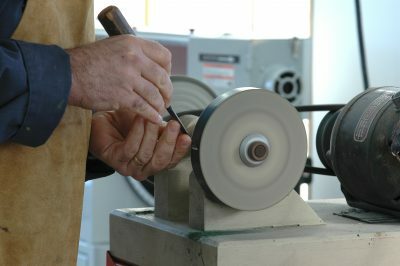 The buffing wheel spins on a bench grinder or a mandrel mounted on a shop-built plywood base and connected to a 1/4 hp motor with a 1/2” vee-belt. That’s me using this set up to the left. Instead of rubbing the edge of a tool against a sharpening stone by hand, you hold the tool edge stationary against the spinning felt wheel after it’s been charged with a fine, waxy, abrasive polishing compound. It’s super-fast and super-effective. Even though the abrasive involved is so fine that it feels like nothing more than a wax crayon, you’ll get sharp results very quickly because there’s so much movement of the buffing wheel against the tool. In fact, buffing is so powerful that it can actually remove nicks and flaws in a chisel, plane or knife without having to regrind. That’s not to say that reshaping a tool on a grinder isn’t necessary sometimes, just that it’s far less necessary. 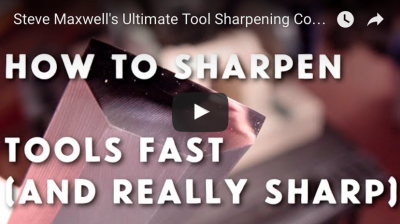 Sharpening skills are something you need to see in action to learn properly, and that’s why t’s one of the most popular topics I teach in my hands-on workshops. Learning by seeing is also why I created an online video sharpening course. It’s the next best thing to having me work with you one-on-one. It shows exactly how to go from a dead-dull tool to something that can easily shave hair or slice wood across the grain without tearing. Finally, your tools will do what you want them to do. Click to the left for a video that explains more about this course. 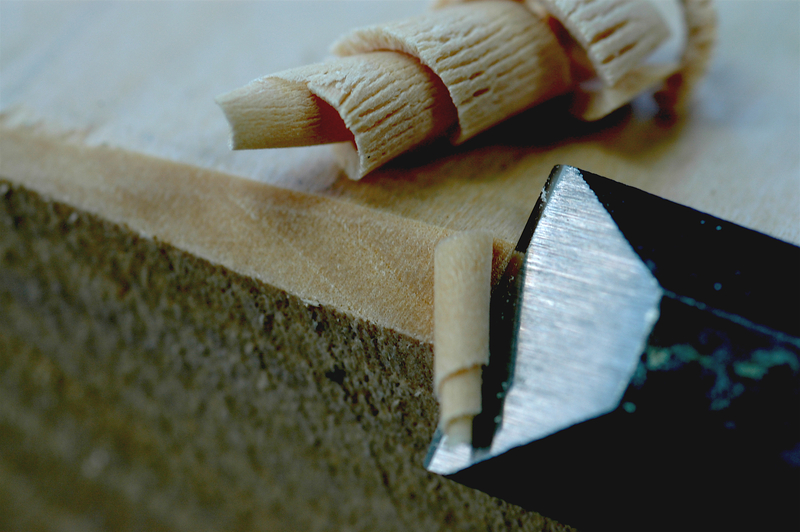 Sign up and get my free ebook on replacing wooden tool handles.